When you are considering an ERP for your business, there are different options that you have been bombarded with. While you may be considering a lot of options for ERP, one of the most important things is to select a cloud-based ERP solution or the one which can be installed locally. There have been over 30,000 installations for companies of all sizes in various industries. A real-world experience which has a wide range of cloud ERP systems which will lead us to recommend sell and implement NetSuite as the most complete, comprehensive and lowest risk ERP cloud solution. This recommendation will hold a true value when you start-up graduating from QuickBooks or a global multi-national that implements a two-tier ERP strategy. All the corporate data can be held in one single database which will give access for the key performance metrics on a customizable and real time dashboard. It helps in quick decision making process. It’s a single and powerful application. It also combines the complete customer facing CRM and an Ecommerce capability with a back-office Accounting/ERP and a self –service portals for the partners. This overall will allow the companies unite the fragmented data and automate all the end-to-end processes. NetSuite has made all the implementations faster and are less expensive than the traditional business applications. The modularity in this phase will help the implementations according to the needs of the company. Being a web-based on-demand solution, it will reduce the total cost of ownership (TCO). There are many key processes that are encountered in the daily operations like order management, fulfillment, invoicing, cash collection, expense approvals and financial consolidations are just to name a few. Automating such processes will reduce the hiring that you would require running these processes otherwise. To take decisions it is important to have a real-time visibility. Due to this information can be accessed from anywhere and anytime without wasting the resources on the data extraction. This has made all the processes accurate and faster. IT will no longer have to procure, install and maintain a lot of systems as there are various integrations in between. Reduction in the operational costs will be realized when the IT time will be used in improving the operations of the business. With the help of this integrated software there can be an expansion to multiple locations and there can be additional sales channels which can be done faster because of the unified order and the accounting management processes and data. It also helps the company for upsell and cross-sell for better efficiency for the existing customers for an improved visibility. As the process changes the implementations are done faster and daily business users are able to apply their functional expertise for tailoring the processes and the applications in a way that will help in improving the performance. In the mean time, IT will be liberated for focusing on the strategic initiatives that will add value by building innovative value-added solutions. Today everyone wants to work closely with their partner with an extended enterprise. It offers self service portals that will enhance both B2B and B2C collaboration. There are proactive notifications of partner-specific events that will accelerate the process cycles and improve the responsiveness that will ensure your position as a preferred partner. 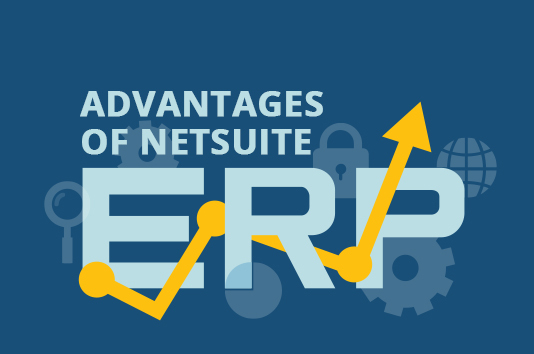 NetSuite is the world’s most customizable Software-as-a-Service (SaaS) solution. Just click and not code and configure all the modular implementations and start your business. The advanced customization are simple, industry standard tools will allow you to tailor the business practices and the processes to meet your company centric requirements. This customization can be carried forward seamlessly with the upgrades which will actually encourage to customize NetSuite highly and create a software application which would be one-of-a-kind. Are you planning to set up a new business and in search of a NetSuite solution? We at Inspirria Cloudtech, are here to help you. You can take us as your secured cloud provider partner and NetSuite solutions with decade plus of experience working with 500+ Cloud projects. We push productivity to its optimum level with some proven solutions that are used by best companies all over the world. Enquire about Inspirria NetSuite ERP Implementation Services.